Birthday Fairy has gone into hiding. I tried calling her but her voicemail was on, telling me to find you instead. Oh bother! Birthday and Christmas.... isn't it the same? Maybe I should just have one fairy called the Food Fairy. Anywoof! I woke up extra early this morning because I was super excited. 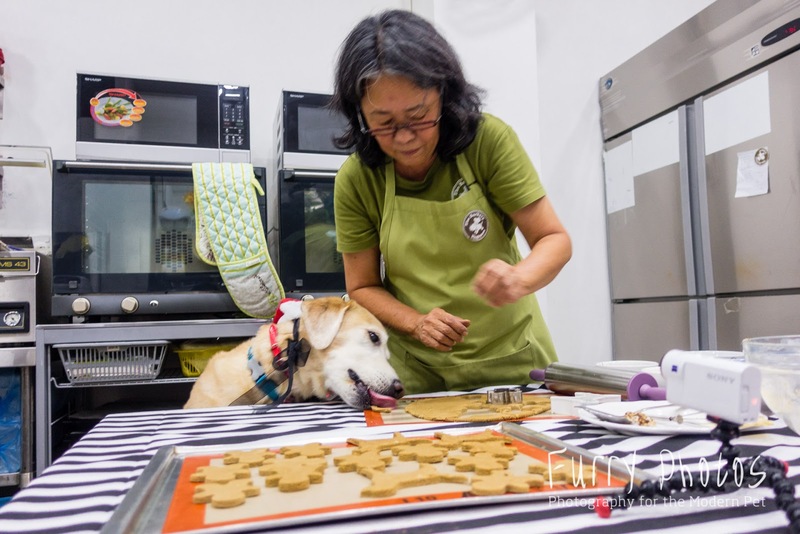 I was going for my baking lesson with The Barkery Singapore! It has been more than a year since my last cooking lesson with them and I've missed it so so much! You see, mummy bugged me about our Christmas plans and asked me to think about what food we should cook. Erm, mum... seriously? Even that has to be my responsibility? When does Frodo start doing something useful? Mummy said, "Frodo will assist you." I glared at mummy. Are you kidding me? Frodo assist? I'll be grateful if he does not make a mess and being Frodo as Frodo is, I will probably have to serve him. I started flipping recipe books but could not decide what to do. 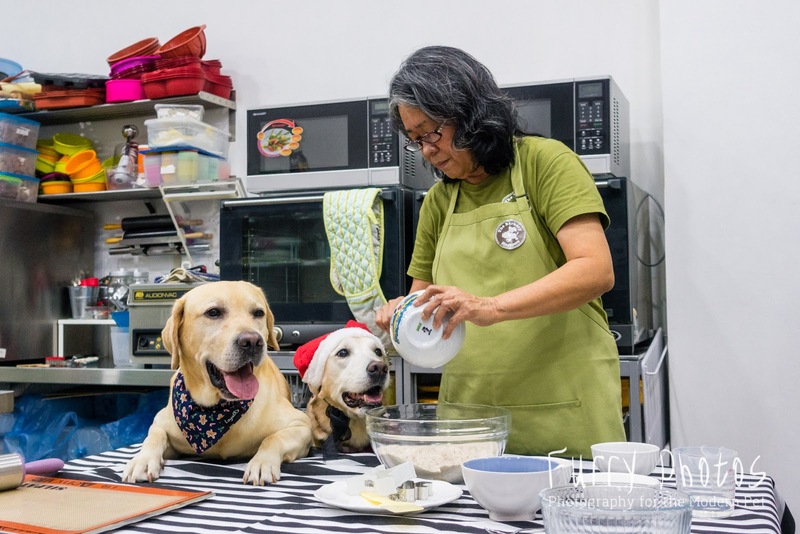 I cracked my rocket scientist brains and decided to call my good friend and sponsor at The Barkery Singapore, to seek their advise on what I should cook. Cheh-Cheh (elder sister) Ann and Auntie Elizabeth graciously offered to help me out with my dilemma and offered baking lesson with them! Another cooking lesson with them! Christmas Fairy, as you know, I've known the wonderful ladies at Barkery for quite a while now. They are truly wonderful people, you know. You know what I love most about them? 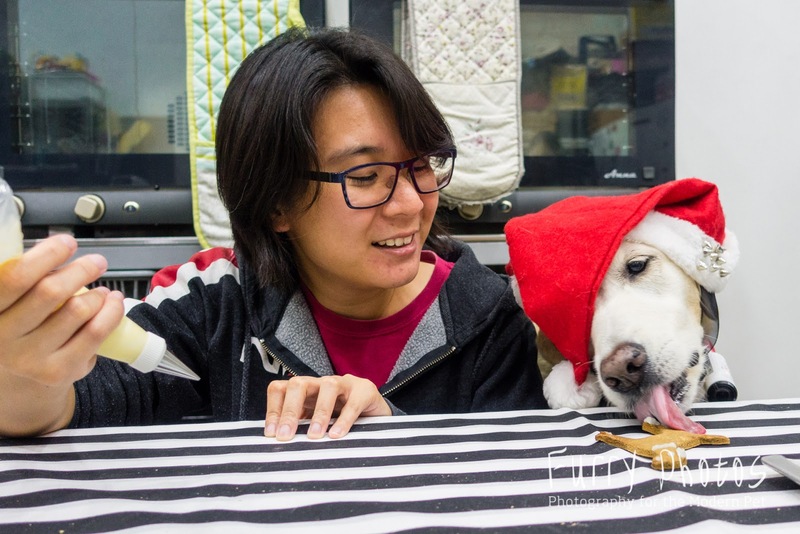 Their integrity and passion in the food and snacks they painstakingly formulate for dogs. They use only fresh and natural ingredients with no added preservatives, artificial colouring or synthetic ingredients. Apart from their highly-yummy human-grade treats and cakes, Auntie Elizabeth is constantly researching and thinking of new formulations (i.e. the "Bone Broth" - which I will tell more later) that could enhance a dog's well-being. 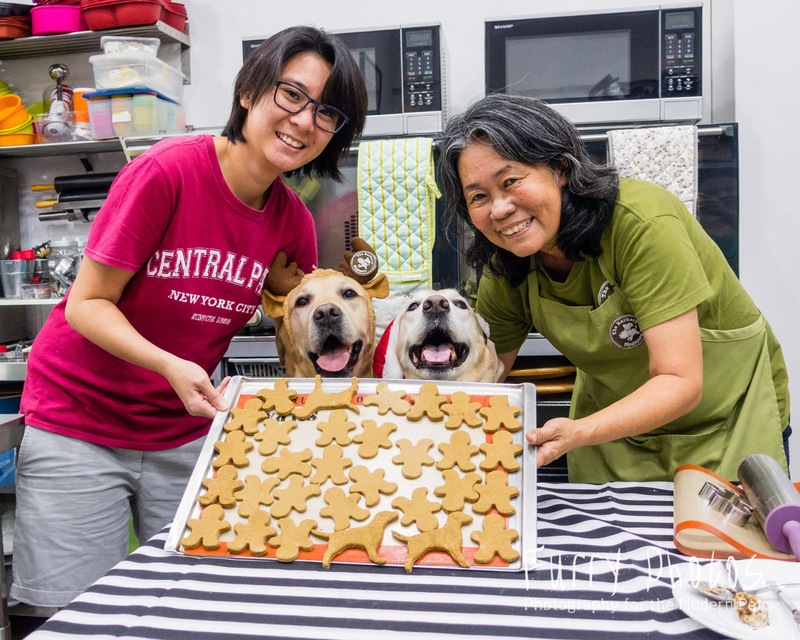 Apart from their now-famous doggie cakes and treats, they are ever-so-active in contributing to the doggie community including accepting young 'interns' and their 'for the shelter' outreach. 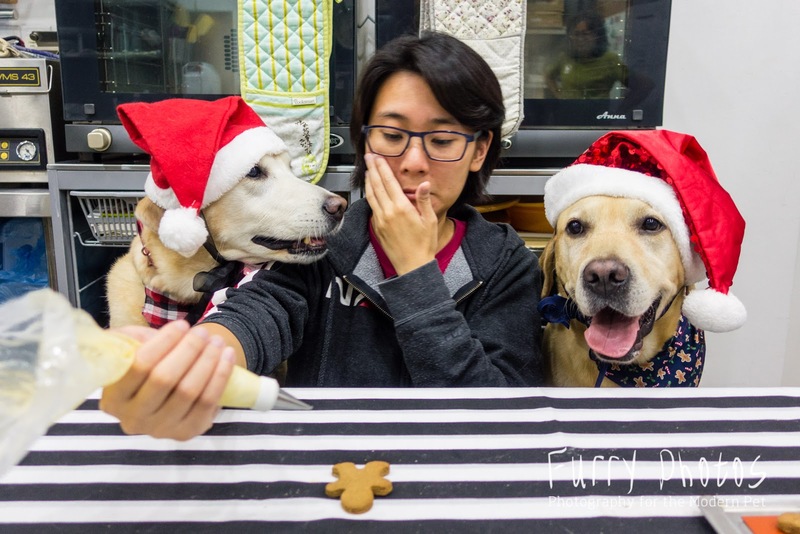 I could spend the whole night writing about Barkery but you know what, Christmas Fairy? 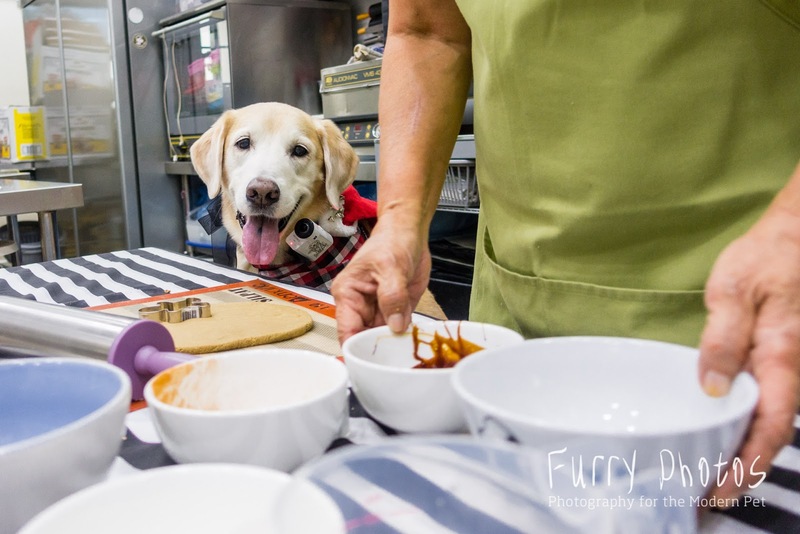 If you ever get the chance to speak to Auntie Elizabeth, you will truly understand that the passion of what Barkery does. What a dreary Monday with the torrential downpour! But no rain was going to take away my chirpy Christmas spirit... and roaring stomach. Gingerbread cookie... come to Flapper! 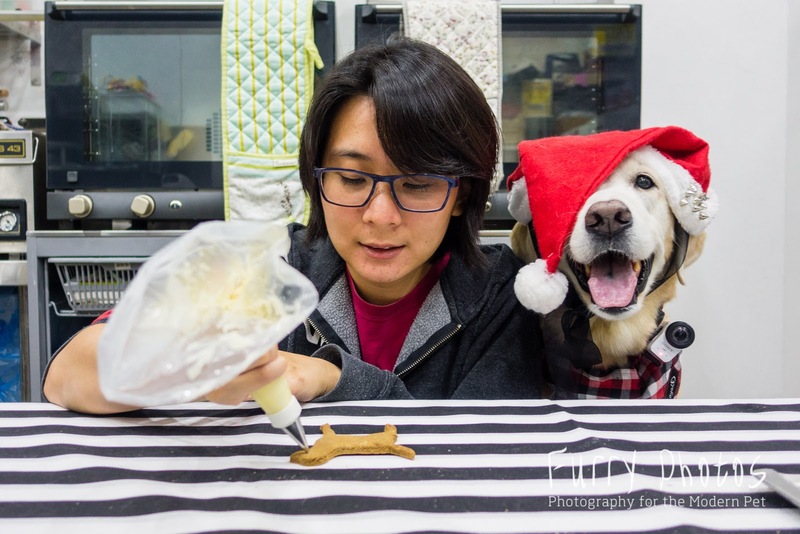 Uncle Nic had specially taken time off work to bring Frodo and me for our baking lesson... and well, to help us take photos and help handle one of the Action Cam. Mummy is the wet blanket who stands at the corner to glare at us to keep us in check. Like the weather wasn't gloomy enough... meh! As the cliché old saying goes, a picture speaks a thousand words. I shall let our fun and fabulous video tell the story... and needless to say, Uncle Nic's photos pretty much captured some awesome moments too! Would you like to tell me what was your favourite moment in the video? Sous Chef me and MASTERCHEF Dorgan Labsy all ready for our baking lesson! Whatever that is.... seems really yummy! 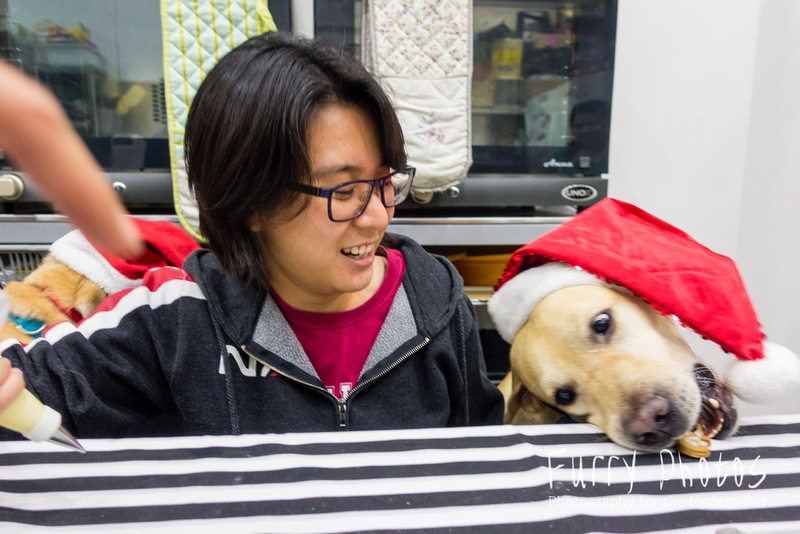 We were "Barkery Singapore" branded on our foreheads. One peeping Labsy and one food-stealing Flapsy. Stealing food at first opportunity given. 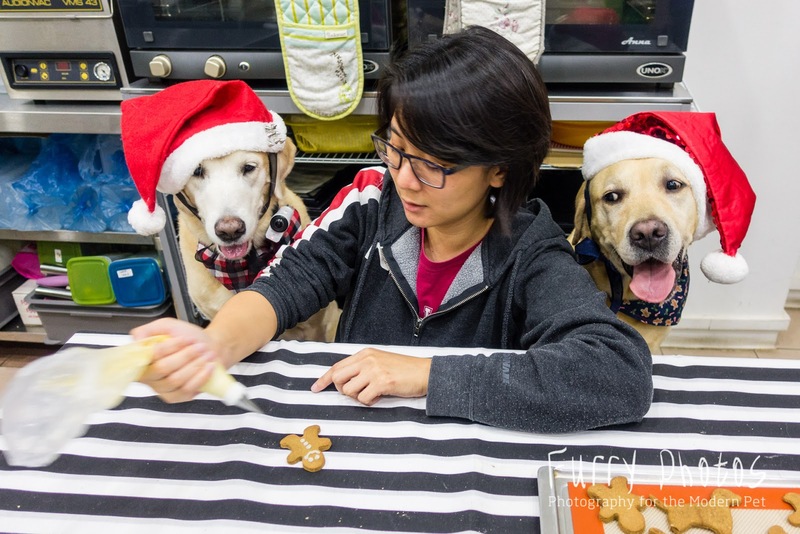 Auntie Elizabeth patiently telling us each Gingerbread Man is for which hooman... but isn't it ALL FOR US? 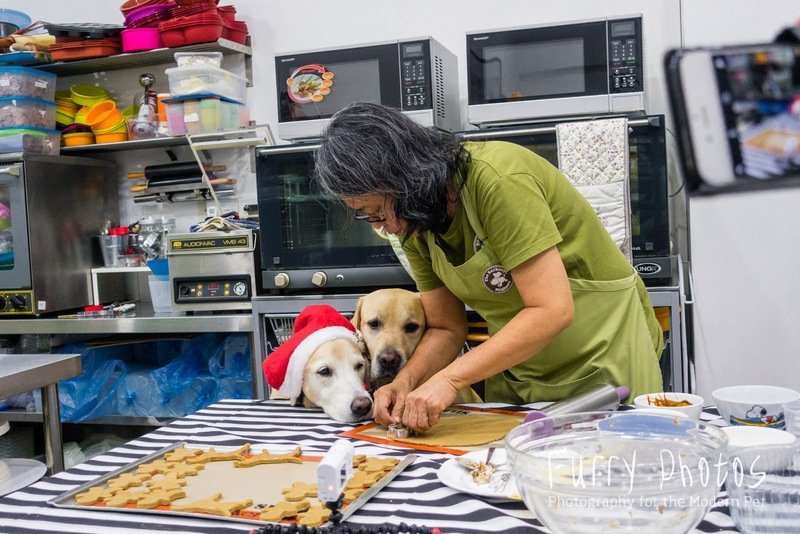 Thank you cheh-cheh Ann and Auntie Elizabeth for teaching us how to bake Gingerbread Dogs/Cookies! Lookie everyone! 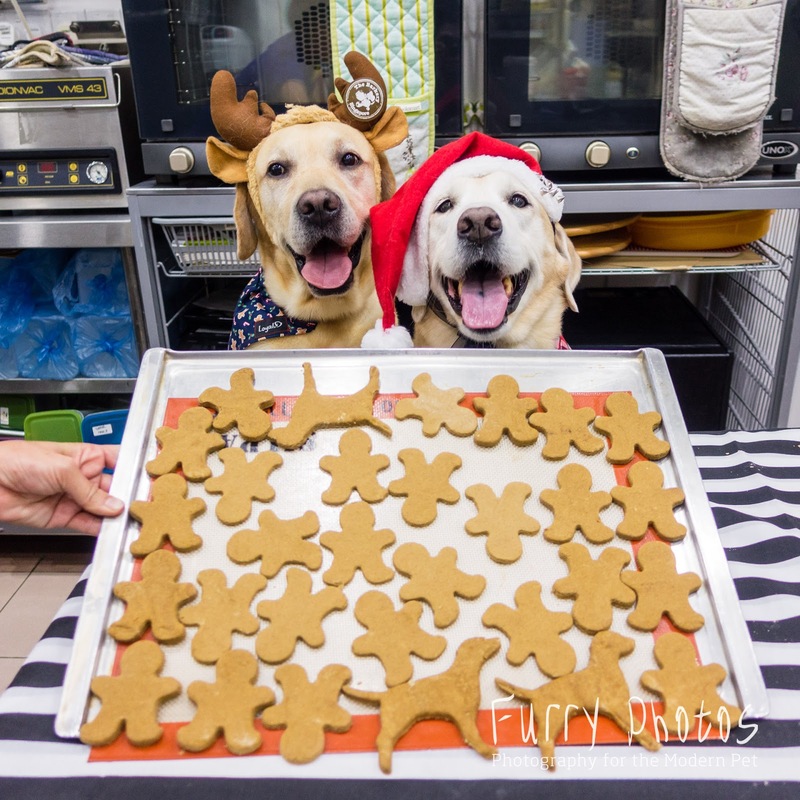 Our Gingerbread Cookies! Cheh cheh Ann, you decorate.... we eat! WATCH AND FIND OUT WHY! I've kissed you. Do I get the cookie now? Flashing my PR-face with styled-hat to con for cookie. Part 3: Shhhh.... More to be revealed soon. We have something special planned. Hearsay, it is a contest. I will update very very soon. Part 4: It's Barksberg Time! You see, Christmas Fairy, I was right! I ended up having to serve MASTERCHEF Dorgan Labsy his food and drinks. On a more serious note, while waiting for the cookies to bake in the oven (which took foooooor-ever! ), I had the amazing opportunity to hold an exclusive interview with Auntie Elizabeth. I had to dish the broth off the mastermind behind the inspiring 'Barksberg', which is actually known as 'Bone Broth'. Lucky Frodo got to lap Barksberg all to himself. 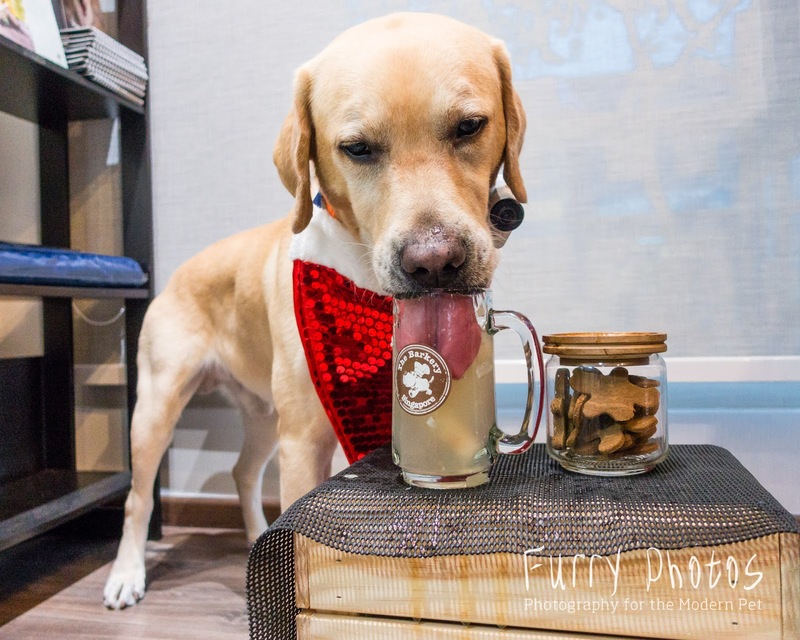 Watch this video to see Frodo enjoying Barksberg all to himself and the respectable truth and facts behind this nutritious 'Bone Broth'. My Bone-head brother enjoying Barksberg all to himself and what big tongue he has!. Can you see the Bone Broth popsicles in the glass? Yep! 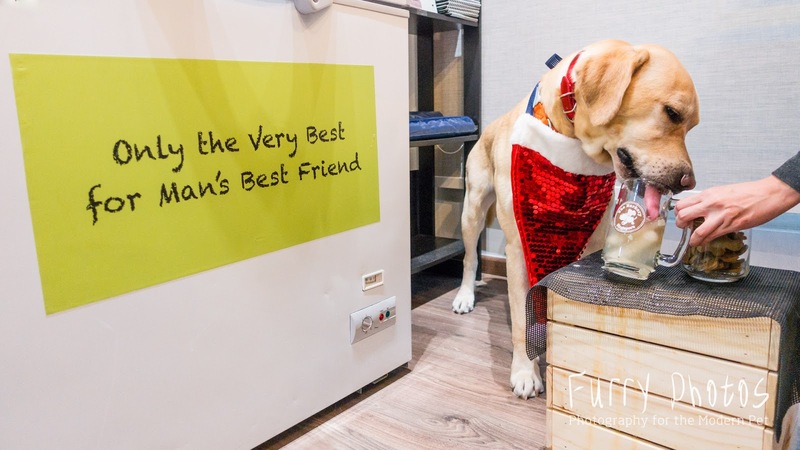 Barkery Singapore truly serves ONLY THE VERY BEST FOR MAN'S BEST FRIEND. 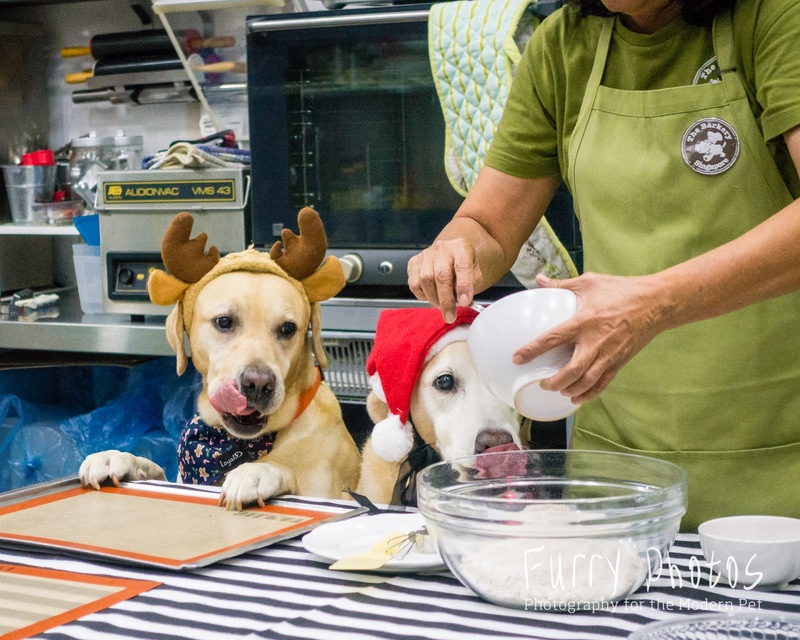 Yes, Christmas Fairy, that was my very fun, yummy and educational afternoon with Barkery! I wonder if this cooking lesson thing will end up becoming our annual activity with them! In the meantime, SOMEBODY.... who THINKS he is still a pup, IS an overgrown pup and ACTS like a pup, is badgering me to help him apply as an intern at Barkery. Oh brother! 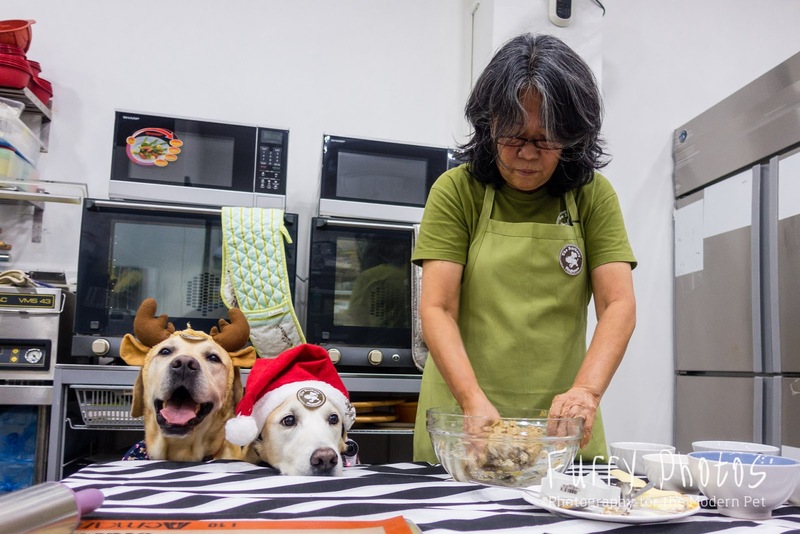 Christmas Fairy, please sprinkle loads of fairy dust on cheh-cheh Ann and Auntie Elizabeth to bless them for always being there for our life events and their wonderful cooking lessons.... and may the shelter dogs tummies be filled with meatloaves and Lactogold Probiotics this Christmas! With this, I shall sign off and go stuff my belly with more yummy gingerbread cookies. Need to charge up my energy for my next post - "The Making Of....". I have yet to mention about my fabulous Sony Action Cam. 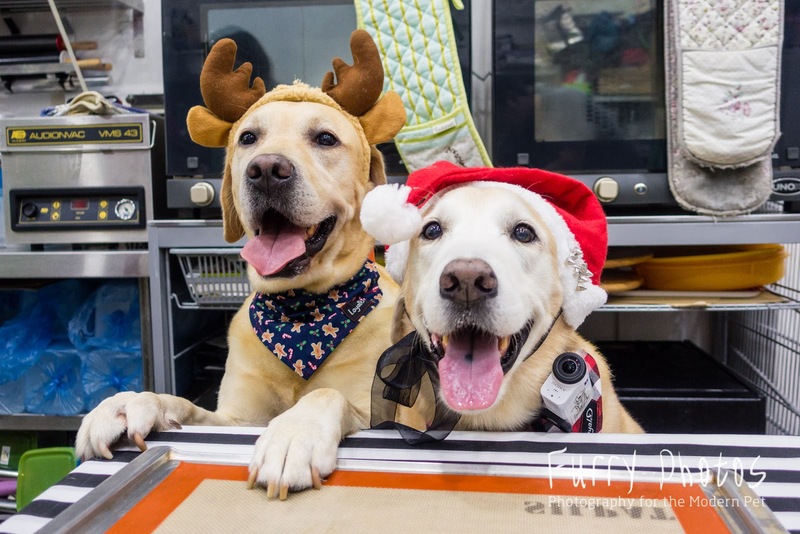 For anyone who would like to pamper their dogs with Christmas Goodies or order those meatloaves/Probiotics for the shelter dogs, you can do so online at Barkery's website. For anyone who would like fabulous photos of their dogs taken by my very good friend, Uncle Nic, can find out more via Furry Photo's Facebook. 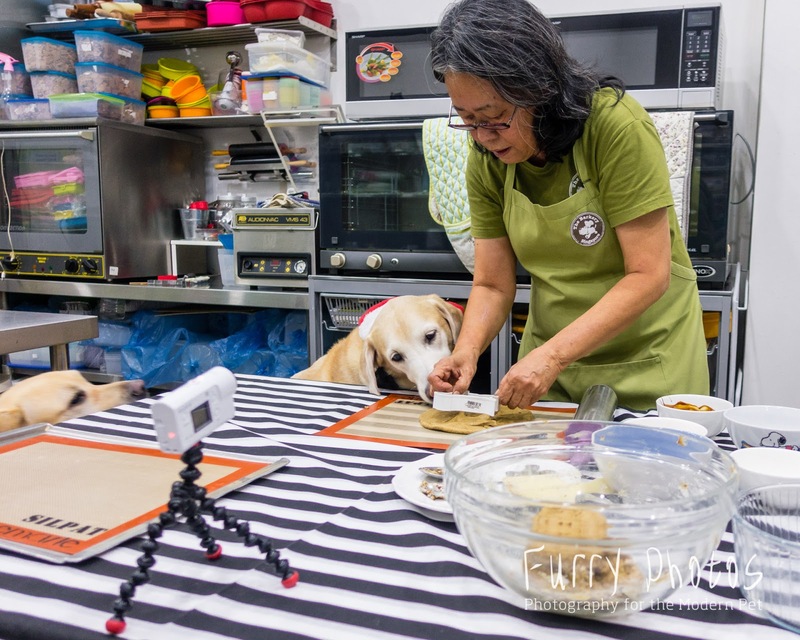 If you love my videos and would also like to capture your dog's life moments or create your own home videos with your dog, don't forget to grab those Action Cam shopping perks from Sony Singapore. You can get those shopping perks here. I will be discussing about HDR versus FDR in my next post. Look out for it! And that's it from me! 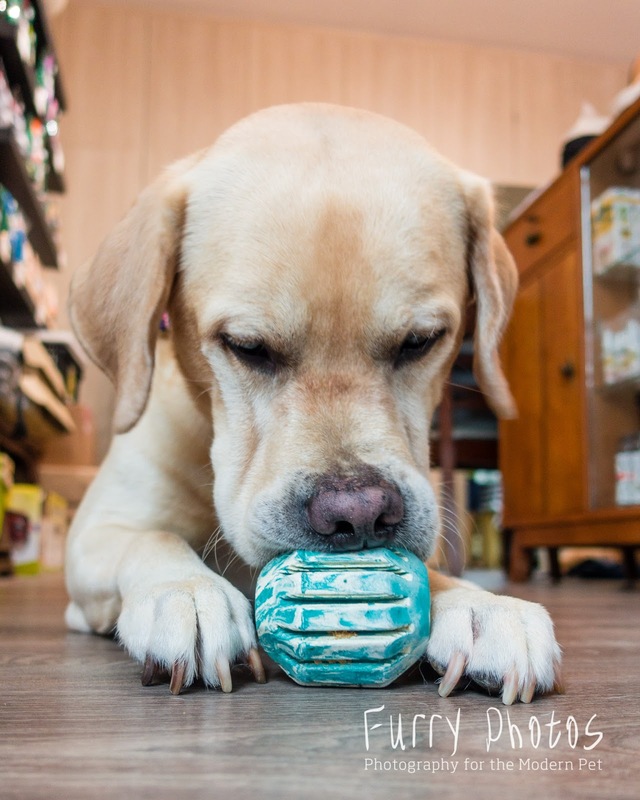 All still images by Uncle Nic of Furry Photos Pet Photography using Sony RX100M4.